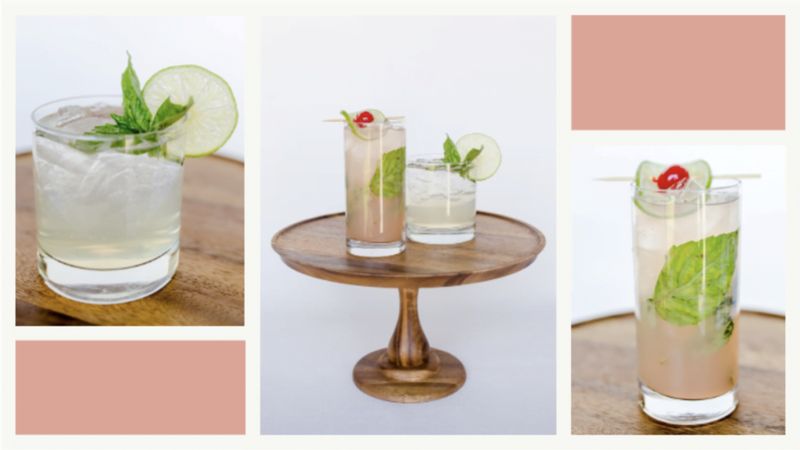 Are you having trouble deciding on a signature cocktail for your wedding?! 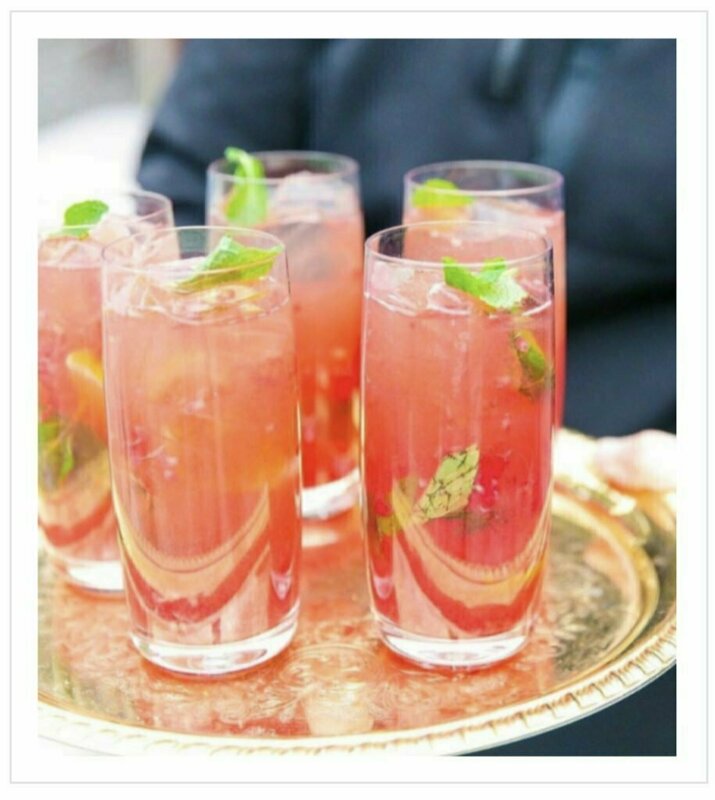 Selecting a signature cocktail is about more than just offering your favorite adult beverage; your wedding date, venue, theme, and guest age are all important factors in your selection process! 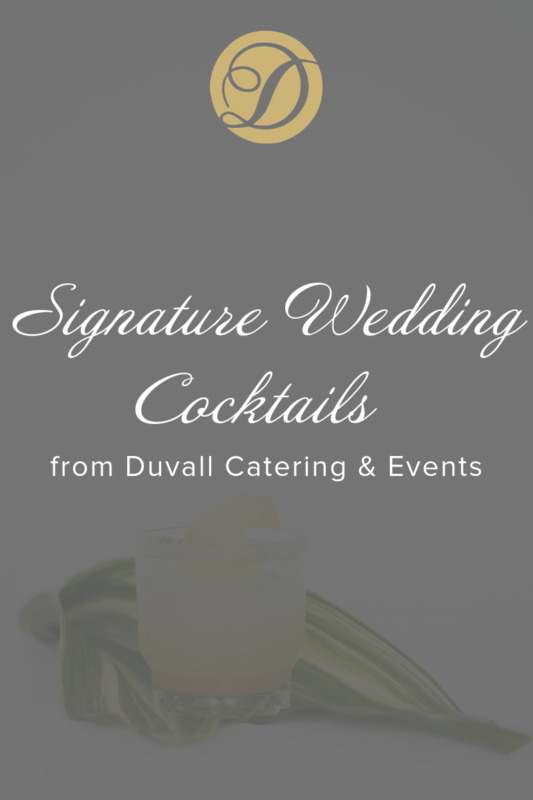 Here at Duvall Catering & Events, we know just how important it is for you to have the perfect special addition to your event. We have created a list of our favorite specialty drinks and most popular signature cocktails to help you decide which drink pairs best with your wedding! Named after one of Charleston’s most esteemed beaches, The Kiawah is the perfect drink for your summer wedding! Cucumber vodka, basil, ginger beer, and lime create a light but flavorful taste profile perfect for cooling down while celebrating in Charleston’s summer heat. The Hemingway, one of South Carolina’s most popular cocktails, is often crafted with Bacardi, Campari, mint, grapefruit juice, and soda water. This mojito is a great way to add history while complementing a plantation wedding already themed in South Carolina’s roots. Duvall’s Watermelon Basil Mojito is our twist on this classic cocktail. Adding watermelon juice and basil simple syrup to this drink offers a slightly sweeter twist while keeping the history of the cocktail. You can never go wrong with sweet tea at a Southern wedding. Our Daly Palmer combines vodka, sweat tea, and lemonade to create our adult version of Arnold’s favorite drink. We love to upgrade this drink with our local partner Firefly Vodka. Distilled here in the Lowcountry, Firefly supplies both sweat tea and lemonade vodka to the Charleston area. The signature cocktail at our own 40th anniversary celebration was the Blood Orange Margarita. Made with tequila, lemon juice, lime juice, and simple syrup, this cocktail is a fun color that can give any event a tropical feel. Our favorite fall signature cocktail is Cider Rum Punch. Our mixologists put together dark rum, lemon juice, apple cider, bitters, club soda, and our house-made thyme simple syrup, to create a refreshing autumn cocktail sure to go with a cool or warm weather Charleston wedding. 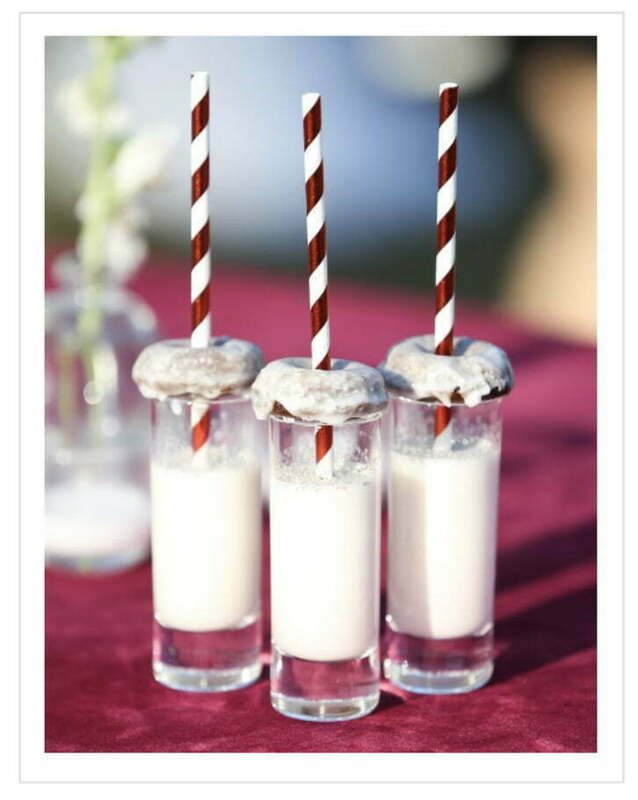 Boozy Milk, garnished with a doughnut, is a great way to end the night on a sweet note. Passing this signature cocktail during your reception offers guests a much-appreciated treat before its time to end the celebration. Served in a shot glass, the Boozy Milk has a cinnamon toast crunch flavor that can bring you back to your favorite time as a child. If you are still having trouble narrowing down your perfect signature cocktail give mason jars a thought. Mason jars are a great way to elevate your favorite simple drink and enhance your rustic Lowcountry wedding. Since almost any cocktail would fit this Southern glass, all you need is to pop in a colorful straw and garnish to give it a festive look!